There are many things in life that can easily bring people down. There are financial pressures, stress that can be caused by work, and then there are traumas that can sadly occur such as the loss of a loved one. While there are many things that bring sadness and fear there are a great deal of things that bring positivity as well. This can be the birth of a baby, a loving couple getting married, or watching a simple sunset. Some of the smartest people out there will know that there are many benefits to focusing on the positive instead of the negative and that there is always light to balance out the dark. Furthermore, that it can be beneficial for people to surround themselves with things that lift them up instead of tear them down and that also brings joy into their lives. People are able to achieve this by decorating their home with things that they love, by surrounding themselves with great people, and by incorporating lots of different colours and patterns in their wardrobe. 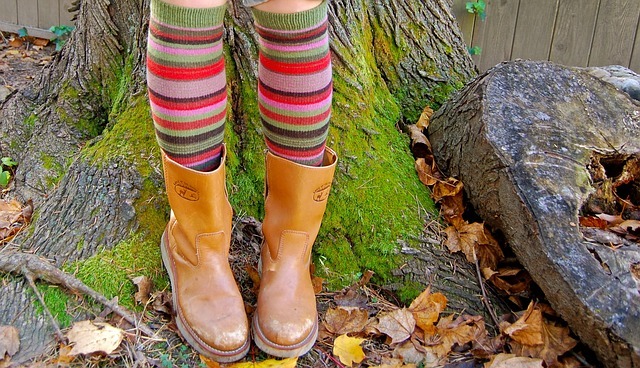 One common way that people love to do this is by wearing crazy socks. Wearing crazy socks can be the perfect way for people to bring colour into their lives and to also have a little bit of fun with their wardrobe. For many people out there, they will have to wear a dreary uniform because of their jobs. One example of this is a lawyer who will need to look presentable at all times in the courtroom. While it is likely that they will spend the majority of their time wearing suits, they can also sneakily implement colour into their lives with crazy socks. They can easily be hidden under their pants so that they will only get a few glimpses of them throughout the day. These few glimpses are often enough to bring a smile to people’s faces and is also a small way that they are able to express their personality and creativity. Furthermore, they can make a great gift for working parents who may not get to see their kids as often as they would like. It can be a great moment for them when they get to look down every now and again and see their crazy socks that their loved one has purchased for them. For anyone who has spend a little bit of time in a hospital, they will understand how drab and dreary things can begin to feel. Throughout life, most people will experience some kind of illness from time to time and during these times it can be important that they are surrounding with colour and positivity. A great way for people to help loved ones achieve this is by visiting them regularly and showing them with love and gifts. It can be a good idea to load up an iPod with upbeat songs, or to bring loads of flowers and greenery with each visit. Of course, another great thing to do is to gift a loved one with crazy socks so they can have something to laugh and smile at from time to time. Furthermore, people are able to find options that represent them personally such as items with their favourite animal, colour, or cartoon. The sky is truly the limit when it comes to crazy socks which is why they are such a great way for people to easily bring joy and positivity into their lives.